Please select from the buttons and banners on this page freely. You can use these codes to embed the desired banner on your website. The banners are multilingual and your visitors will be able to see them in their browser language. Select the most suitable size from these .tv buttons to link to your cross.tv profile from your websites. This will allow your website visitors to link to your cross.tv contact network, which again gives you the opportunity to engage them in your projects and keep them updated. This is the age of social networking and social media technology. Don’t get caught staying behind! 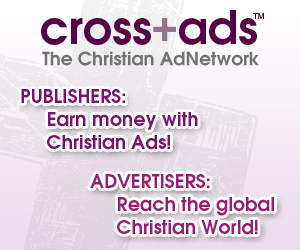 Link in to your cross.tv from your website, Facebook, Twitter or any other social network. You can link them all together to multiply their effect. Use these .tv buttons as a symbol and link to your cross.tv pages. The buttons are user resizable simply by adjusting the pixel width and height in the code. To embed a banner, just copy the code from the "Embed Code" box. Once you've copied the code, just paste it into your website or blog to embed it.